Does SpongeBob “absorb” some of younger viewers’ brains? It’s not unusual to hear about parents who never let their kids watch SpongeBob SquarePants when they were younger, in many cases due to the commonly held belief that watching SpongeBob can lower your IQ, or be detrimental to the brains of young children in other ways. But how much of that is actually true? A study conducted by the University of Virginia took 60 4-year-olds and split them into 3 groups of 20. Each group was assigned a different task for 9 minutes. The first group watched a 9-minute clip of SpongeBob, the second, a clip of the same length from the children’s show Caillou, and the third simply had 9 minutes to doodle with crayons and markers. The contrast between the TV shows in the study involved great differences in pace and action, with changes of the camera and/or scene approximately every 11 seconds in SpongeBob, and every 34 seconds in Caillou. After the 9 minutes were up, the 4-year-olds were given tasks that involved learning, such as doing the opposite action of what they’re told to do (for example, touching their head when told to touch their toes), as well as being tested on the ability to recite a string of digits in reverse. The results of the tests showed that children in both of the other categories performed better in every category than the children who watched SpongeBob. But this doesn’t mean what many people assume it to mean. While the first assumption of many is to conclude that watching SpongeBob simply makes kids “dumber”, it’s important to note that that’s not what the study measured. 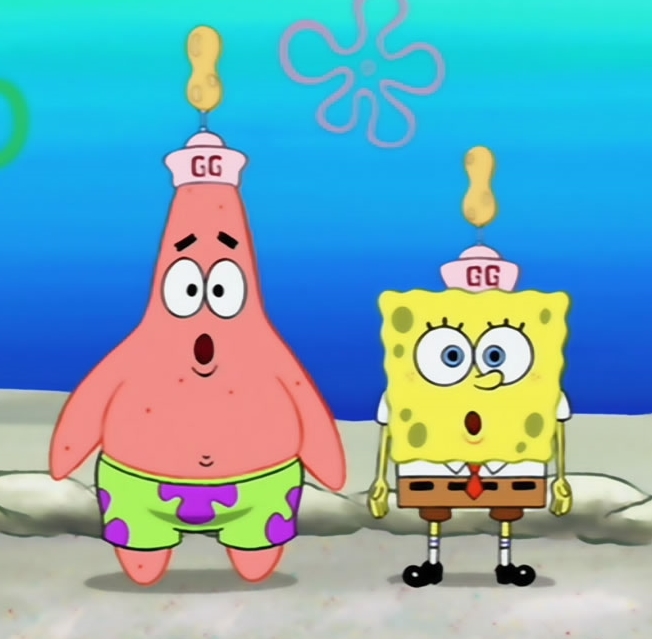 The study measured the show’s effect on attention span, and the results show that SpongeBob is taxing on the minds of children, which fatigues their brains and causes problems focusing on other tasks. 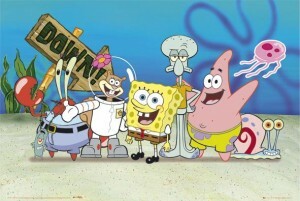 In fact, representative of Nickelodeon, David Bittler told ABC news that he thought the methodology of the study was questionable, stating that the subjects of the study were not an accurate representation of the intended audience for SpongeBob, and were in fact two years younger than the specified target demographic. Another problem with this particular study was explained by Jane Gould, former Senior Vice President of Consumer Insights at Nickelodeon, in a video interview (2:43 in the video on ABC News), stating that SpongeBob is designed to entertain, rather than educate, where as the other show used to compare in the study, Caillou, is both designed for that purpose, and for the age demographic used in the study. Additionally, Bittler accused the study of not using enough diversity in the studies, and both Bittler and Gould said that not enough subjects were used. 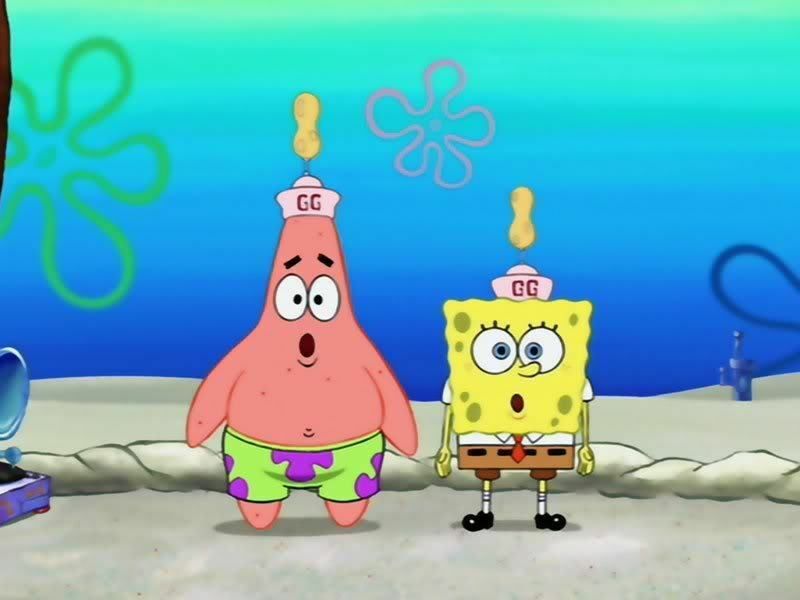 So does SpongeBob have an effect on young viewers’ brains? Yes. Does it make young viewers “dumber”? Well, not exactly. Or at least, it has yet to be proven to. 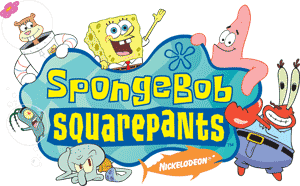 The fast paced clips and action in SpongeBob stimulate the children, with the aim to entertain them. While it doesn’t educate kids, it’s important to understand that that’s not it’s aim. The fatigue to the minds of kids is not dangerous on it’s own. While attention spans are shown to be shorter after watching SpongeBob, it can be explained without suggesting any detrimental long term effects. This entry was posted in Uncategorized on October 13, 2016 by Brian Cunningham. Firstly, as many are also commenting, great topic choice. Popular culture is always a great way to drag people our age in. Personally, I’m skeptical about all studies that describe the effects of television on children. Honestly, after taking this class, I’m skeptical about everything. I was allowed to watch Spongebob as a kid, much to my mother’s dismay and I would say I am a perfectly functioning human being. I consider myself to have a small attention span but I’m not about to sue Spongebob for that. I found an article that mentions the same study but the author of this article, a mother of two, says that she does not think Spongebob will negatively affect her kids. She mentions the positive messages that Spongebob has. I do not think that one should dismiss Spongebob as a stupid television show. I think it’s all about perspective. There are many things that kids can take away from Spongebob that are positive. I feel like this is a psychology issue, and my biggest annoyance with psychology is that every individual is so unique. Also even if things are silly, sometimes that is exactly what our minds need. When I was younger my parents would always get mad when I watched Spongebob and would try and prevent me from watching it as much as they could. I’ve also heard parents saying that it can make kids “dumber”. I found your evaluation of the study at the University of Virginia really interesting because you explain how the show affects attention span, not how “smart” the kid is. Although the participants in the study were not the intended audience for Spongebob, I’m not sure if that’s a fair problem with the study since so many different age groups watch it; therefore, it would have been beneficial if the study included multiple trials with different ages. Your findings made me think about other ways our attention span can be reduced. With younger generations increasingly becoming attached to cell phones and other forms of digital media I think it would be interesting to see how the attention span of different generations has changed throughout the past couple of years. I found this articlethat describes a study conducted by Microsoft. It explains how our attention span has been affected by the digital media. The results of the study show that our attention span is now 8 secs, which is really shocking. I haven’t looked into subsequent studies, so I’m not sure how reliable this conclusion is. 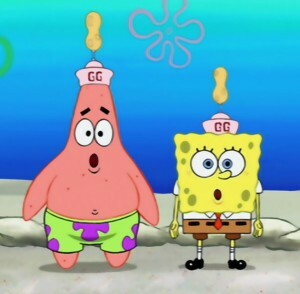 Nonetheless, I think that the study on Spongebob shows us how much technology in general can affect our attention span. Brian, I was very glad to have read your article. I never realized that scene changes occurred so often in Spongebob. I can see how this could affect a child’s attention span, however, I do not think that parents should expect the little yellow cleaning apparatus to supplement education. I disagree with Bittler’s contention. Although Spongebob may have a target audience, all types of people watch Spongebob. In fact, my friends still I watch Spongebob from time to time (personally, I don’t enjoy the half-hour escapades anymore). So nostalgia definitely influences the viewer demographic. And not to mention the parents who choose to endure the character’s antics for their children’s sake. If you want your kid to improve his attention span, give him music lessons, or read books with him. While there are plenty of educational television shows, I do not think the medium is fit to do so because of how rampant consumerism affects marketing, ultimately bleeding through the program itself. Just like Gould said, Spongebob is designed to entertain, not educate. So don’t expect little Suzie to become smarter, and don’t be surprised if Danny get any dumber. This was a really interesting topic that I used to talk about with my family. My parents were always pretty lenient with the TV I watched, but my aunt and uncle were really strict with my cousins, and one of the shows that they weren’t allowed to watch was Spongebob. I never understood this as a kid because to me, Spongebob was so funny and so harmless. I definitely agree with all of the critiques of the study that you included in your post, as Spongebob is definitely not a show meant to educate and not a show meant for four-year-old children. However, the part of the study that discussed the pace of the show, with camera angles and scene changes happening every 11 seconds in Spongebob and every 34 seconds in Caillou, made me think about a study I read in psychology class in high school that talked about television’s negative effects on children’s attention spans. I couldn’t find the study that we read online, but I don’t think that it’s Spongebob alone that causes children to have decreased attention spans, nor any other fast-paced TV show, but it’s our general technological environment that has made us all have a decreased attention span. We’re used to looking at so many things at once and always multitasking that we have to consciously make that effort to put away the phone and truly focus on what we are doing at that moment. And as for children, if parents put an emphasis on non-technological activities like playing outside and playing other hands-on games like board games or Leggos, then it’s okay to watch an episode of Spongebob every once in a while. As a kid, watching Spongebob was a family event in my household at night after all homework was complete and we ate dinner. It was not meant to educate us, it was meant to give us a good laugh after a long day at school and to spend time as a family, because my dad was also a big Spongebob fan although he would never admit it. My parents never limited us to what we could and could not watch on TV because they trusted us to make our own decisions. So here I am today, after watching a lot of Spongebob as a kid and going through an entire Spongebob phase where my bedroom actually had a Spongebob theme, attending Penn State, graduating at the top of my class in high school, so I would say personally, Spongebob had no adverse effects on me as a kid. The same goes for my brother who also grew up just like me watching a lot of Spongebob, and he graduated in the top 5% of his class at Temple (I know, ew, but at least I chose the right school) and is living a very successful life. Now I know these are both anecdotes, but I feel like if Spongebob would have had some kind of terrible effect on children one of us would have suffered from it. Another thing to consider in this study is what kind of education kids are receiving along with watching Spongebob. It is clearly stated that this is not an educational show, so as long as it is being supplemented well in school or other learning activities, I think watching a half hour episode of Spongebob is okay to give kids a good laugh and let them unwind at the end of the day. This is a pretty interesting subject to delve into. As a kid, I was a huge fan of Spongebob, so I may be biased. However, I agree with your analysis of the study done, as well as most of the criticisms of the Nickelodeon executive. There are many flaws in the execution of this study that make it hard for me to fully embrace the idea that Spongebob makes kids “dumber.” For one thing, the study is poorly designed in that they chose shows meant for different audiences. A more accurate way to remove the confounding variable of age would be to pick an educational show that meets the same target age group. I do, however, disagree that the study should consider that one show was meant to educate and the other was not. I think that using an educational show would more easily show the difference between the impact of children watching a “smart” TV show as opposed to a “dumb” one. Overall, I do think that the purpose of the show should be considered though by parents who are thinking of banning their kids from watching Spongebob. In the end, it’s a funny and entertaining kid’s show that provides it’s viewers with laughter. I think that’s good enough on its own merits. I think you’re looking at the point being made about the educational show vs. entertaining show the wrong way. While you’re right, it does show a more clear difference, the point being made is saying that it’s unnecessary because it should be common knowledge that an educational show provides more to a child in academic performance than a show designed for entertainment, and that it’s unfair to use that to highlight the fact that the entertaining show doesn’t educate, as it was never supposed to do. I think what they meant in the interviews was that if you compared it to other shows that aren’t designed to educate yet parents don’t have a problem with, you’d see less of a difference. It’s like asking someone to use a fork in their soup and compare it to using a spoon. Obviously the spoon will work better with the soup, but you haven’t proven anything about the fork, other than the fact that it’s not doing what it’s not supposed to do in the first place. Thus, you still can’t compare it to other forks, or in performance at actual fork-like tasks. Do you understand my point? This was really interesting to me becuase my mom never let my siblings or I watch spongebob as a children. In my personal opinion, it may be slightly biased, I think my mom was smart for doing that. As I have gotten older I have watched a few episodes and I found a strong detest for the show. Spongebob may not have the purpose of educating its viewers but it is, in my opinion, a pointless show. The study from your post clearly showed that the abilities of its participants were impaired, why would anyone want to watch something like that? As you said it may not make children “dumber” but I still find it to be a show that isn’t worth anyones time. Yeah, I completely agree with the idea that it doesn’t really benefit you, especially if you don’t find it funny. But it’s really about as “pointless” as any other TV show that doesn’t teach you anything. If it doesn’t interest you, it’s not gonna help you. Though I’d like to point out that the participants weren’t really “impaired” any more than they would be from doing some other kind of mental task. They’re not being hurt, and it’s not permanent. It’s just a question of whether or not it’s worth the mental effort to watch it for younger kids, which if it keeps them entertained/amused or even just socially aware (since many other kids watch it), it very well could be worth it. Again though, I totally understand what you’re saying, and especially as someone who didn’t grow up with it, I don’t blame you for not particularly enjoying it. But for those of us who did, it’s still quite entertaining, and entertainment is beneficial in itself.